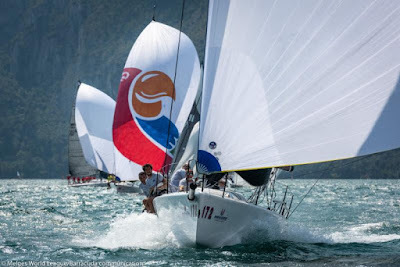 Riva del Garda, Italy (July 26, 2018) - Three spectacular races were held on Lake Garda in 14 knots of breeze today. 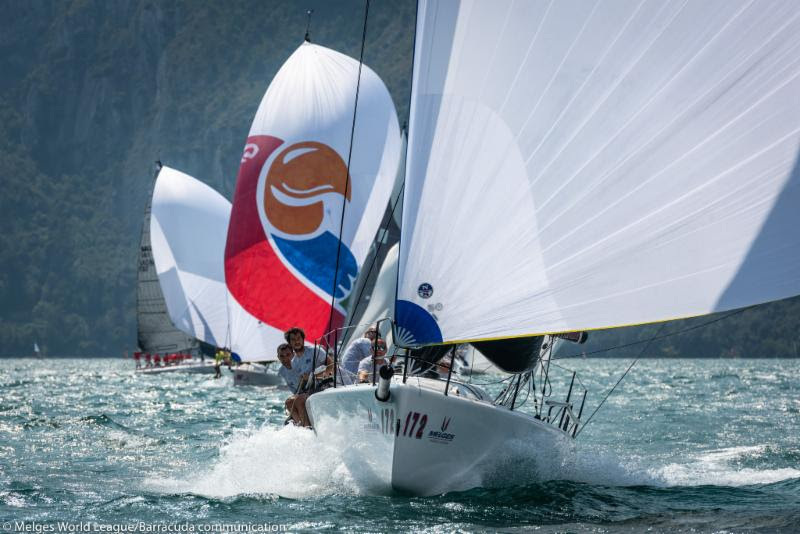 The stunning race conditions ultimately inserted Italy's Matteo Balestrero at the helm of GIOGI in first place overall at the third Melges 32 World League event of 2018. Balestrero, with the highly-accomplished Branko Brcin as tactician, progressively secured his early leadership, race by race to take the overall lead. "It's a good start on a race course that is anything but easy to interpret, and does not go easy on you if you make a mistake," commented Brcin post racing. "Today we fought hard, especially in Race Two. The outcome for this event is still yet to be determined so, for now we are ahead. 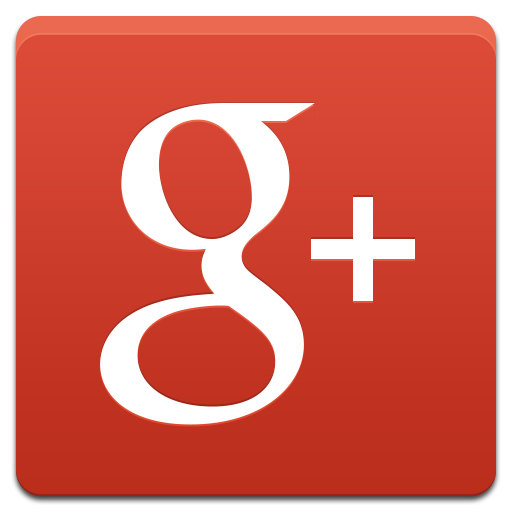 Our goal for the rest of the event is to go out and sail our very best." Post racing, teams enjoyed an incredible after party courtesy of the LA PERICOLOSA and HOMANIT teams!